Last week we covered the first key feature of what makes for a great wellness program: a focus on the positive. Great wellness programs focus on what organizations and individuals are already doing well and build off of the existing successes. Much like successfully managing to an employee’s strengths garners a greater sense of accomplishment and work satisfaction, so does successfully programming toward what folks are already doing to take care of themselves. We covered all the details of this key feature last week, so we won’t re-hash it now. Instead we’ll move into the remaining features we’ll cover in this two-part series: Shifting your Wellness Program from Good to Great. So what’s all this talk about ninjas and contortionists? 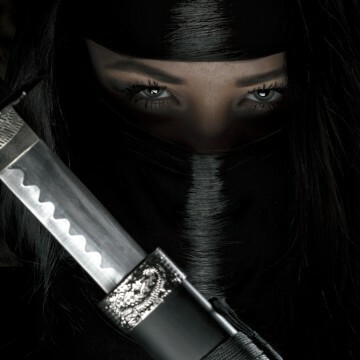 Or better yet, contortionistic ninjas? The two key features we’re covering today involve going stealth and putting your foot behind your ear. Maybe not literally, but you’ll see what we mean. At this point, we know that telling someone to do something solely because it’s “good for them” doesn’t work. Hey, stop smoking and eat kale instead, it’s better for you! If that worked, the world would be a very different place! Wellness managers have to figure out how to tap into intrinsic motivations their employees might have to live healthier. And to do that, sometimes you have to be a little bit sneaky … like a ninja. A Wellness Ninja. A study at Stanford explored the importance of being creative when trying to motivate real behavior change in people’s eating habits. Participants were split into two learning groups. The first group was enrolled in a curriculum that focused on the nutritional aspects of food from a traditional viewpoint: “eat these foods because they’re good for you.” The second group was given a curriculum called “Food and Society” that focused on food’s connections to the environment and human rights. In this group, they were asked to partake in various activities that created a sense of meaning and purpose in their lives, such as writing an op-ed about what they had learned. The results of the study showed that the students in the second group were much more responsive and willing not only to change their own eating behaviors, but also to help educate others on what they had learned. This emphasizes the need for wellness managers to find clever and creative ways to integrate health and well-being so that employees feel intrinsically motivated to partake and spread the word. Tapping into that sense of meaning and purpose is a big hint on this front. The easiest way to start being sneaky in health promotion is to put on a black mask and learn how to use nunchucks. But if you can’t manage that, consider the language you’re using. 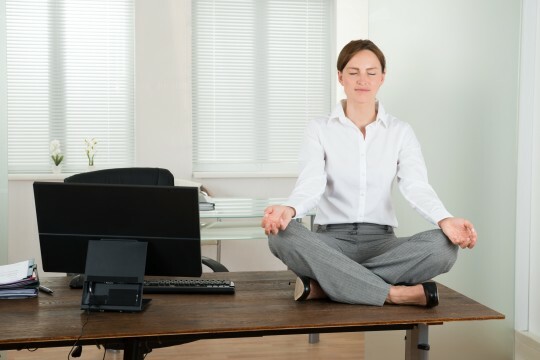 Instead of using words that are directly associated with improving health, like “stress reduction” or “health intervention,” consider using more positive words such as “mindfulness” or “mindful leadership workshop.” Wellness programs are more likely to succeed by engaging people in programs that create a larger, more positive meaning than simply improving their health. Playing off of the idea that one size does not fit all, once we find the size that does fit, it doesn’t necessarily mean that it will always fit — or that your wellness program manager will fold herself up into a cardboard box. Wellness programs must be flexible, even if those running it can’t quite touch their toes. This is where an agile program, equipped with the tools to measure outcomes and course-correct where necessary, is so vitally important. By learning through doing, wellness managers can get a better sense of what will work and what won’t work, making real-time adjustments along the way. After going through this cycle, we then test out what we’ve learned by starting a completely new experiential learning cycle. Wellness programs must utilize this theory in order to remain relevant and cohesive with the workplace changes that will inevitably occur. Wellness managers can, and should, start implementing small wellness initiatives as soon as possible. It could be as simple as starting a daily walking group during lunch. If no one shows up the first week, figure out why, change the program accordingly, and keep a record of it. After 6 months to a year of doing this practice, you’ll be armed with a list of what works and why, giving you an excellent starting place for your next phase of programming. Always be flexible and open to trying new ideas, because you never know what will stick! Creating a successful, engaging wellness program requires positivity, creativity, and flexibility. Wellness managers should always build off of what’s going well instead of letting the negatives drag down the program. If you notice people tend to pause to collect themselves before starting a meeting, consider creating a pre-meeting 1-minute meditation ritual to build off of what’s already happening. 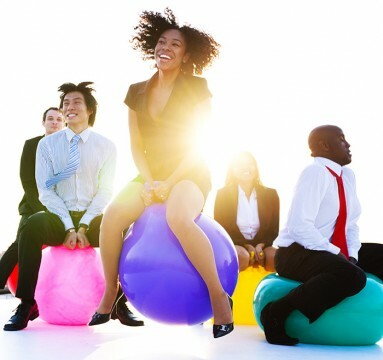 Be stealthy and creative in your approach to changing employee’s behaviors. Never underestimate the power of a little sneaky spin! 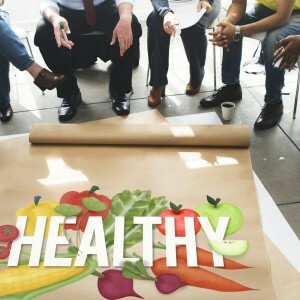 Try to match the wording of specific wellness initiatives to the values and mission of the company so employees are less likely to write it off as just another “health workshop.” And lastly, wellness managers should have the flexibility and grace to admit when an idea was a flop and go back to the drawing board. Allow yourself to be creative, to take risks, and to challenge yourself to do something outside the box. You never know unless you try.